In these special episodes we like to tempt responsible scholars to enter into the fertile speculative territory lying at the edges of what we can say for sure, and Professor Adamson steps up to the plate and bats with gusto. Particularly fascinating is the discussion of how you get from Plato, who, for all his baffling statements, can be read as an epistemic optimist who really thinks that the world can be known fundamentally, to Late Platonism, where we find strong ideas of transcendence and ineffability. 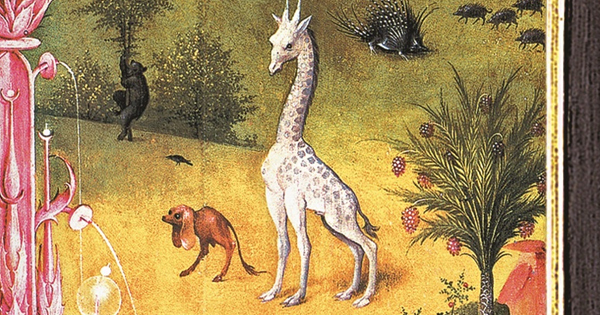 And the problem of the seeming lack of giraffes in Plato’s philosophic project, along with the possibility of an esoteric Platonic camelopardalology at the heart of the dialogues.